Become an Interpretive Host & Impress your Friends, Neighbors, Fellow Campers with your Knowledge of Trivia! 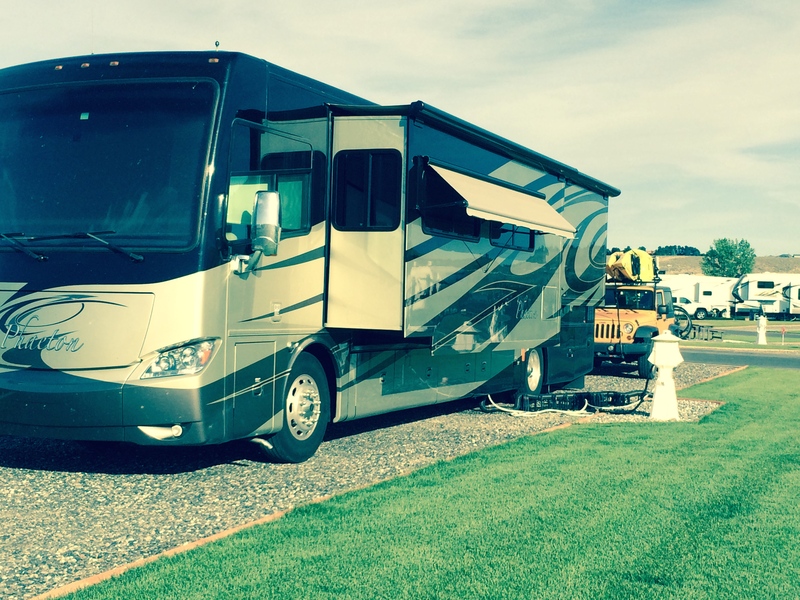 RV Info I Wish I Knew when we started…. 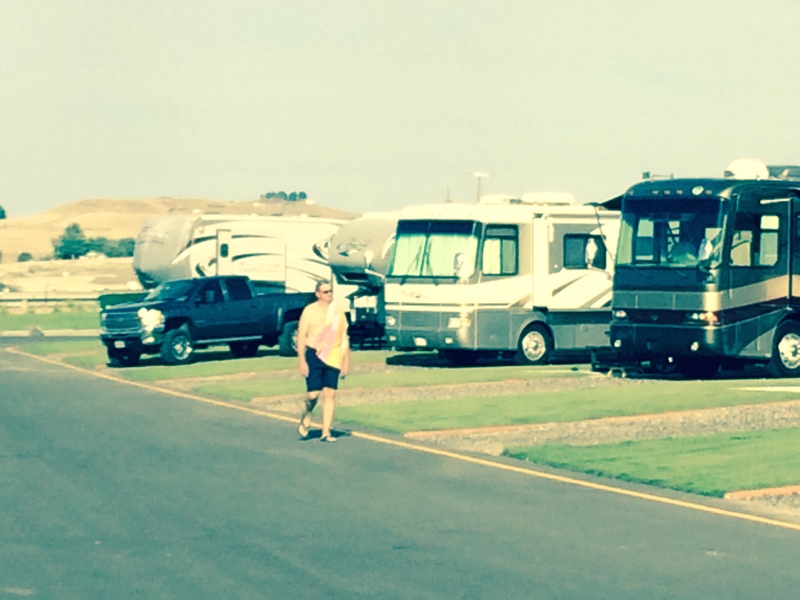 We visited Columbia Sun RV Resort in Kennewick WA June 7 & 8 to see our friends Donna Lou & Lloyd. 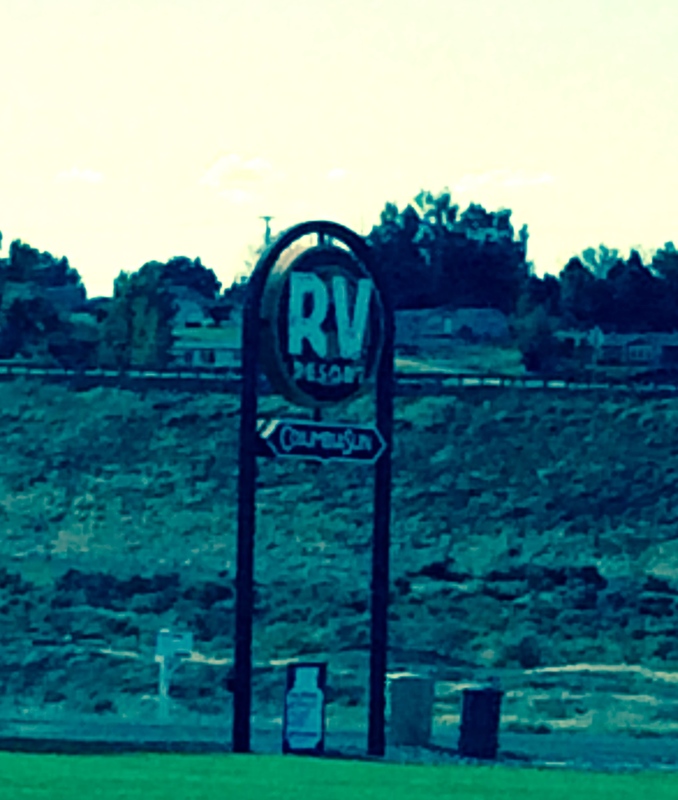 They found this GREAT RV park for us and we are glad we stayed here!! Columbia Sun is the best park we have visited that is so close to a major interstate… route 82 is less than 1 mile down the road and no busy roads or intersections to navigate. Wide, wide roads to travel once in the park and the largest RV sites I have ever seen (100′?). Nice pool, hot tub, small store for urgent needs. 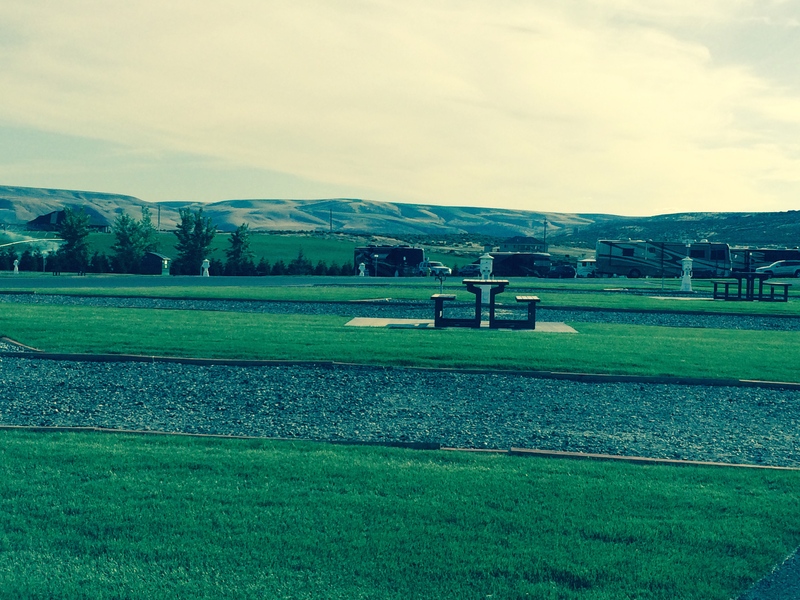 Quiet park – off of the highway and no road, train, plane noise. Beautiful views of the surrounding hills..
On top of all of this, we are really really close to numerous (160?) wineries. Have I died and gone to heaven? Good Sam discounts and if you hit it right – a free night via Facebook. 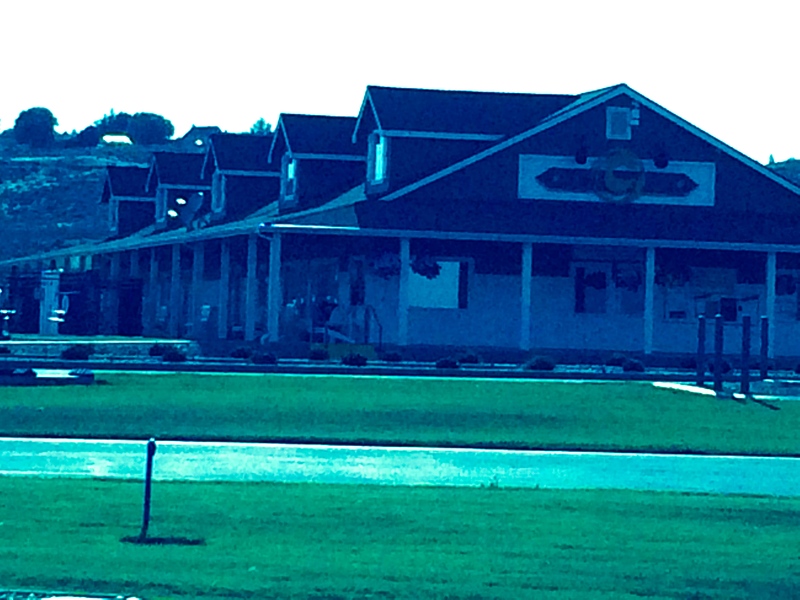 In addition to all of the goodness – the park is brand new (August 2013) so all is clean and good! Love this park! Back home at Florida. Next trip - FLA keys! 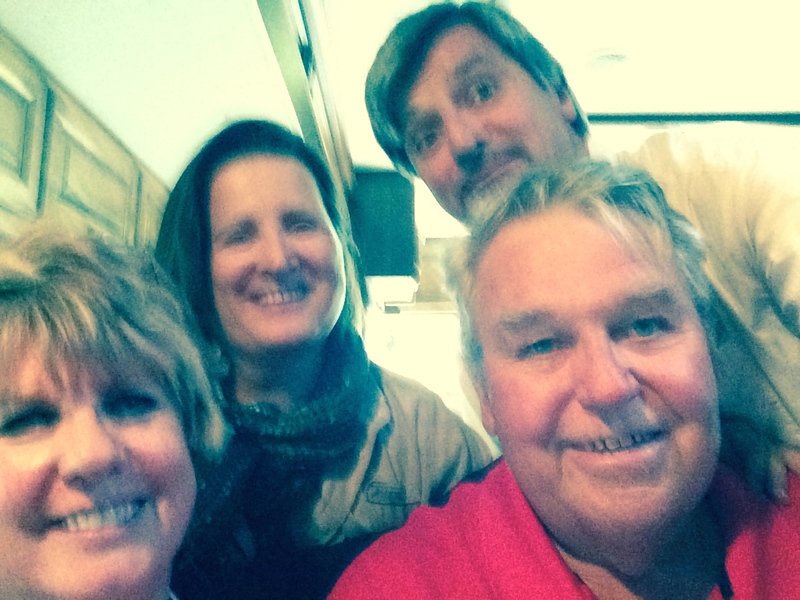 Fess Parker – Best Winery Ever! Garrison Creek WA Barrel Tasting – our first & fun! 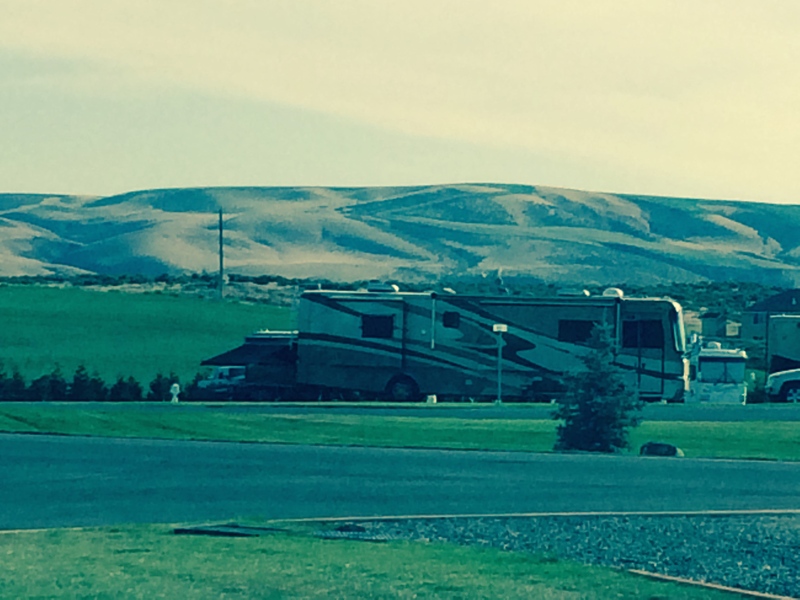 RVing is – in our opinion – the best way to see the beautiful United States!